A lot of us think that the appearance of fine, blue lines on our face or feet is a natural sign of ageing. Or that those bulging veins and swollen ankles are just a reminder for us to put our feet up and rest a little. When these initial signs of spider veins and varicose veins are accompanied by pain and discomfort though, you should know it’s time to seek out a doctor. Not just any physician, but a specialized vein doctor. Why do you need to see a vein doctor? In addition to the unsightly looking veins, if you’ve been suffering from leg cramps, swollen ankles and fatigue, you probably have chronic venous insufficiency. This is a condition where the valves (tiny, one-way doors in your legs) become faulty. So, blood that is normally supposed to go back to the heart falls through the open valves and remains in your leg veins. A defective leg vein isn’t something that will go away on its own, or respond to any kind of home remedy. You need to see a doctor who will actually treat the damaged vein. How do I choose my vein doctor in NY? Choosing a vein doctor in NY need not be a challenging task if you look out for the following details. Technically, any physician can offer treatment for varicose and spider veins. However, successful diagnosis and outcomes can get compromised if vein treatment is not the doctor’s speciality. An expert, who has undergone training specifically to become a vein specialist, can diagnose your vein problem accurately with minimum error. At the Vein treatment center in NY, we have three brilliant, Ivy league trained vein specialists – Dr. Michael Nguyen, Dr. Namrata Khimani, and Dr. Juan Montoya. All our three top vein specialists are triple board certified and have had extensive training in vein medicine. If the primary focus of your doctor’s work is vein treatment, he/she is likely to have years of experience in this field. Try to look for treatment centers that are dedicated to vein treatment for a successful experience. The doctors at VTC are experts at what they do, and they train other doctors in the country and around the world in similar skill sets. Not many years ago, the only treatment for varicose veins was surgery – a fairly invasive procedure that involved cutting open the leg and stripping out the defective vein. Thankfully, that is not necessary today, mainly due to advances in technology. However, your doctor needs to have the skills to use this. Treatments such as radiofrequency and laser require a certain level of expertise, which can only be acquired through training and experience. The vein doctors at NY VTC have pioneered several cutting edge procedures for vein disease treatment. All of them are highly skilled in the most advanced and minimally invasive procedures. Above all, you should be comfortable with the vein doctor you choose. It is important that you have your vein doctor’s full attention and focus. Of course, understanding and empathy from both the doctor and the support staff go a long way in making you feel comfortable with treatment. Our vein doctors are committed to helping patients ease the pain and discomfort associated with vein diseases. Their main goal is to see their patients walk out of the clinic pain free, healthy – and satisfied. The focus of practice at this vein center is the treatment of chronic venous insufficiency. So if you have visible veins that are also associated with painful symptoms, our vein doctors will help you work towards a feasible solution. What will your vein doctor do at my appointment? At your initial consultation at our vein treatment center, you may be asked to fill out a few forms. One of our expert vein doctors in NY will then meet with you and ask you about your problem. After getting to know your medical history and any symptoms that you might have, you may need an ultrasound to determine if your veins are defective. Based on your symptoms and ultrasound report, the doctor will customize a treatment plan that you are comfortable with. What treatment will the vein doctor perform? Spider and varicose vein treatment is basically aimed at getting rid of the defective vein. This is done by sealing off, or scarring the defective vein, and re-routing blood flow to healthy veins. The defective vein eventually gets absorbed by the body. Although that can sound a bit scary, you can be assured that all procedures at the vein treatment center are minimally invasive treatments. They can be done in just a couple of hours! You require very little time to recover, and can even go back to work the same day. Sclerotherapy: Injection of medicated solution into the defective vein to scar it and seal it. Radiofrequency Ablation: Heat from a radiofrequency catheter inserted into the vein destroys it. Endovenous Laser Ablation: A laser fiber is used instead of a radiofrequency catheter. Venaseal: Medical grade glue injected into your vein seals it off. Clarivein: A tiny device is implanted into your vein to seal it from within. Varithena: Medicated foam is injected into your veins to scar and seal it. To know more about our treatment procedures, visit our website, or schedule an appointment with us! VTC is part of a larger medical group committed to treating vein diseases and painful conditions. 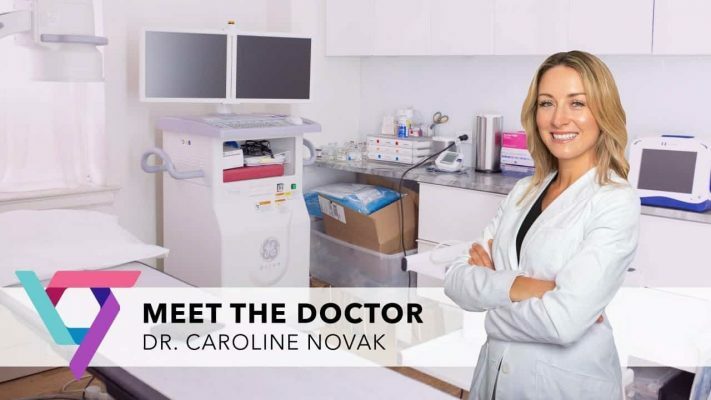 If our vein clinic in NY is not in your area, you can choose to go to our other expert vein doctors at one of our vein treatment centers in other locations.